The information I provide you is to empower you with knowledge, and I have repeatedly asked you to be the team leader for your OWN healthcare concerns. You should never act on anything you read in these reports. I have encouraged you to seek the advice of your physicians regarding health issues and even discuss information I provided. Feel free to share this information with family and friends, but remind them about this being informational only. You must be proactive in our current medical environment. Congratulations to President Donald John Trump as the 45th President of the United States of America. Times are going to be challenging for a country so divided, and if Americans are smart (? ), they will accept our current president and give him a chance. It may appear that many want him to fail, but we all will suffer if he does. I would suggest since the process for reforming healthcare will take months if not years, we give his administration a chance to make it better, since Obamacare was only a compromise because the Congress refused a single payer system. In many minds, it was set up to fail so that single payer would be acceptable. Organized medical organizations have registered their concern that millions of Americans will suddenly be without healthcare. That is just false. I am just as frustrated with the system as you are. Sadly, the country can’t afford to do what we all wish could happen…..free healthcare for all. We have to pay for it, and the rub comes when less than half of the country have to pay for it. I feel strongly we need to have a thoughtful healthcare program that puts as much responsibility for health on the individual as it does on doctors, insurance companies, and the federal government. The expanding American population is a big reason why we are in trouble trying to cover everyone with health insurance of some kind. Flooding the borders with illegals and allowing a huge flow of refugees into this country has created the need for more subsidized (healthcare) people than the number of healthy people could pay into the system to counter the overly sick population we now face.We are a very sick population compared to many countries and are older. There are too many people notseeking some kind of a job because the government pays them more than what entry level jobs pay.There is no incentive to work. That must change! The premise that healthy people should essentially pay for sick people was a flawed philosophy of Obamacare, that was destined to fail, and it has !! So now we face revisions, reform, and repeal to fix a broken system. I am praying Trump can accomplish this, but it will cause some pain for many to fix it. In the meantime, Americans must take responsibility for their own health and do everything they can to stay healthy. We all have a responsibility to lower the cost of healthcare by not over-using the system. Employer-based insurance will likely not be affected in this transition nor will those currently on Obamacare. For those without insurance, there could be problems. Private health insurance for those not working (under 65) is a real problem, very expensive, and limited by very few insurance carriers. Those with serious illness especially poor people must be addressed separately (block grants). Participation by the states to fund Medicaid also must be addressed. The Marketplace for Obamacare will stop enrollment. Illegals and refugees are another group requiring special consideration. Savings accounts and tax deductible insurance will only help those who pay tax (less than half the country). How do we pay for the other half? That is controversial. Those currently insured will not lose their insurance because of pre-existing conditions, but those without insurance probably will lose that value. Those under 26 will still stay on their folk’s insurance. Also expect changes in Medicare, as the current system is out of control and needs reform as well. Expect some larger responsibilities for recipients. A voucher system may be instituted to allow patients to purchase different types of Medicare.Ryan has recommendedraising the age for Medicare eligibility to age 67. While we wait to see what President Trump offers as an alternative to Obamacare, I will report on a single payer model next month and how socialism plays a major role. In my opinion, we face this system if Trump’s attempts fail. Consider my thoughts as a physician desperately wanting our healthcare to thrive. 1. Physical and Psychological Abuse Series-Part 1--Bullying-a national disgrace! Bullying used to be accepted as a “right of passage” by many, but research has proven that the lasting effects of this type of abuse cannot be denied. 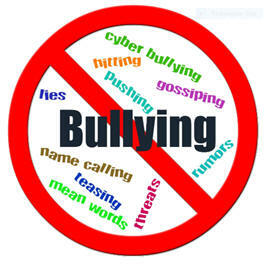 Between 18-31% of children and youth suffer bullying of some kind. This occurs in 7-15% of youth and is the latest tragic way individuals are attacked. It is believed to be much higher in certain subgroups such as children and youth with disabilities, overweight, and the LGBT (lesbian, gay, bisexual, and transgender) community. 1 in 5 high school students report bullying and 1 in 6 cyberbullying. Reports show similar rates of bullying for boys and girls (18% and 21%), but girls are twice as likely to be cyberbullied (22% compared to 11%). 6% of students report missing school because of concerns for their safety. The risk for suicide is higher if bullying occurs at school and on the internet. These patients suffer from social withdrawal, sleep disturbances, anxiety, depression, headaches, and gastrointestinal disturbances. Self-harm is an issue and parasomnias (night mares, night terrors, sleepwalking) can indicate continuing stress during sleep. This often translates to risky behavior in these individuals, such as theft and vandalism. Alcohol abuse in college students is also an effect of bullying (27% of college female students report some cyberbullying). Being bullied by a sibling doubles the risk of depression and self-harm by age 18. Studies have proven that social pain is physical pain. Suicide is 4 times more likely including suicidal thoughts, plans, and attempts (third most common cause of death in teens). It is being discussed as a factor in school shootings. Physicians must be aware of young patients complaining of the above symptoms and bring up the possibility of bullying to the patient and parents. Physicians should ask about social situations, being accepted by peers, grades in school, and relationships. Suffering in silence will just increase the likelihood of lasting psychological issues. Many young people are more likely to open up about bullying to a professional rather than their parents! A great deal of study has led to some concepts in prevention. Anti-bullying programs involve a multicomponent effort promoting a positive school environment combining social and emotional skill building by all students. There must be zero tolerance for any kind of bullying, but some studies have proven them ineffective and may even do more harm. Those high risk groups must be given special interventions. Families are crucial to provide emotional support and foster coping skills in the event of an occurrence. Further research is sorely needed to come up with successful models in this tragedy. The social media industry must assist in this as well. Facebook, Twitter, etc. could help!! BULLYING IS CHILD ABUSE!As soon as a child has a cell phone, bullying can happen. Parents pleasebe aware! National Academies Press—Preventing Bullying through Science, Policy, and Practice—this 311 report addresses the state of the science behind the psychological impact on these victims. Body dysmorphia is defined as a mental disorder in which a person sees certain body parts as extremely abnormal when they are not. Patients obsess over these perceived abnormalities. This makes the person feel ugly or even deformed. They perceive that others have the same extreme attitude. There are attempts at concealing the flaws. In my practice, large noses, ears that stuck out, small chins, and double chins were common problems I dealt with on a daily basis. In most cases, my patients were desirous of improvement and did not let their facial issues create a mental disorder. Being self-conscious is different than body dysmorphia. Dysmorphia patients tend to isolate themselves and are introverted. This creates great stress in these patients and a cascade of abnormal behaviors. I have physically transformed many young people by fixing their noses and other facial problems with obvious personality benefits. If these patients were realistic about their outcome, I operated on them and found the majority to be very satisfied with their results. I watched many of them blossom with self- confidence and achievement. Patients with dysmorphia are rarely satisfied with surgical results. Body dysmorphia is a serious issue. With obesity increasing in this country, body images are being challenged at a very early age. Surgery is, however, not the answer to a lot of these problems. Young people are so judgmental and mean (as described under bullying), and call peers “Dumbo” for ears that stick out, or “Pinochio” for those with a big nose. For girls, early breast development (or are behind in development), can create a serious amount of stress. Young people want to fit in and appearance is at the center of this. Facial features are very commonly the perceived problem, although weight, skin issues such as acne, body shape, and even congenital genitalia abnormalities are common sites that can create a dysmorphic disorder. Mental issues often accompany this disorder. Underlying depression, anxiety, eating disorders, obsessive-compulsive disorder, and substance abuse all must be identified and treated in these patients. Psychiatric consultation is highly recommended. Pediatricians are not commonly equipped to deal with these issues nor do they want to talk about such sensitive issues. This requires more education for these medical professionals. Those seeking plastic surgery need to be questioned about their body image and expectations for improvement.I occasionally turned patients down, because the reason they wanted surgery was either not appropriate based on the perceived “deformity” they had,they had truebody dysmorphia, or they had unreasonable expectations. I referred some of these patients to a psychiatrist for evaluation and clearance for surgery before I would consider them as a surgical candidate. A great article by a friend of mine, Dr. Scott Benson, Adult and Adolescent Psychiatrist, practicing in Pensacola, Florida, states that self-esteem issues must be explored. Wanting to fit in with peers is a real issue. Young patients must be interviewed without their parents to determine if the parents are pressuring their child into some kind of cosmetic surgery. Personal misperception must be differentiated from real problems. 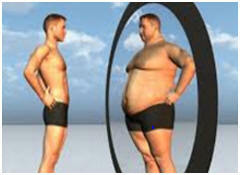 Body dysmorphia must be explored, and if it is present, treated with psychotherapy, not surgery. “Malformations and genital trauma are the only acceptable reasons to offer surgeries to younger aged patients”, states Dr. Daniel Mills, President of the American Society of Aesthetic Plastic Surgeons. For others, he urges that these youngsters must be told they are not abnormal and should take a few years to allow for more maturation and even pregnancy before procedures like breast implants are contemplated. This relieves many girls of the burden that they are not normal. I frequently had to remind young teenagers that the face is still growing and changing until late in the teen years. Treatment must include a psychological evaluation and cognitive behavioral therapy to work on their obsessions and mal-perceptions. Learning to cope with issues and accept some differences in them will help. Surgical consultations might be in order to see what could be done to alieve their concerns. Medications for depression, anxiety, OCD, etc. may be necessary and an underlying issue which could alleviate a dysmorphia disorder. Before I report on the latest hope for cancer treatment, I want to bring to your attention to an FDA alert about a bogus treatment/cure for most cancers. It is called PNC 27, which is a protein that is touted to attack cancer cells directly without side effects. I have been dealing with quack and alternative unproven cancer therapies for 38 years as a physician volunteer for the American Cancer Society serving on committees specifically designed to address this issue. Do not believe what you read online about the latest in a parade of bogus treatments. This is not FDA approved, and they have officially condemned its use. As I write about this, I will now report on the latest treatment for certain cancers which are still in clinical trials and still not a primary treatment for cancer. However, immunotherapy is very promising for the future in controlling some cancers. Treating cancer now includes with a sub-type of chemo (targeted therapy), stem cell therapy, hormones, gene specific therapy, vaccines, and now the latest---immunotherapy (another term used is biologic therapy). Biologics currently account for one fifth of healthcare spending (reaching $221 billion next year). The normal immune system is made up of a collection of organs, cells, and substances that protect the body from infection, and certain diseases. Any substance or abnormal cell may be recognized by this system as foreign, and a patient with a normal immune system should be able to attack it and try to destroy it. The drawing below demonstrates the areas of the body that make up the lymphatic system. 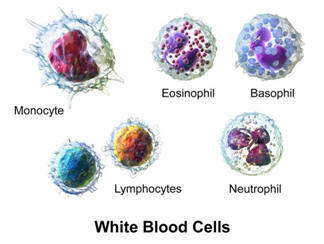 This system carries certain white blood cells that fights disease (T-cell and B-cell lymphocytes). The liquid in the system is called lymph, which carries these immune cells. 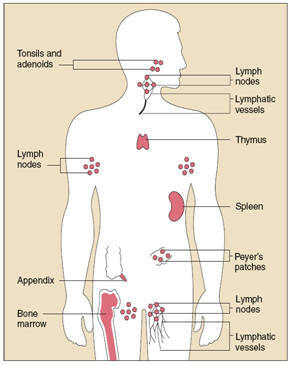 This system includes lymph nodes, spleen, tonsils, adenoids, and thymus. This system acts like “police” to keep infection and cancer from spreading to the rest of the body. That is why cancer spreads to lymph nodes first and frequently stops there at least for some time before the cancer overwhelms them. 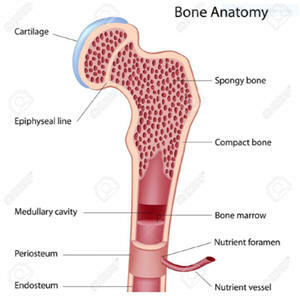 The white blood cells are formed in the bone marrow inside bones and are transported in the blood to areas of need. The lymphocyte is the main white blood cell that provides the proteins called immunoglobulins (IgA, IgG, IgE) that fight cancer cells. There are drugs stimulatea person’s own immune system making it more aggressive in attacking cancer cells. These drugs are being produced using a technique called chemical synthesis, using genetically engineered proteins made from human genes. They are manufactured in a living system (a plant or animal cell). They focus the fight against the cancer cells while not directly affecting the rest of the body. Unfortunately, that is a work in progress, as these immune medications have significant side effects. The current state of immunotherapy started with what is called immune checkpoint therapy. The T-lymphocyte cells are the soldiers of the immune system. These T-cells are normally turned off (by certain proteins) to prevent autoimmune responses. When cancer occurs, the normal T-cells tend to be turned on too late and are not sufficient to eradicate the cancer. With these new immune drugs, they can keep the off-switch from being triggered (check points) and keep the T-cells turned on. Cancer cells can secrete substances that block our immune response. These immune stimulating drugs allow the T-cells to continue to fight the cancer in the face of these cancer cells. Traditional chemotherapy targets the cancer cell whereas immunotherapy targets the T cell. The cancers that have shown the best results to date are non-small cell lung cancer, melanoma (the best results), kidney and bladder cancer, and Hodgkin’s lymphoma. Cancers that are showing promise are head and neck cancers, small cell lung cancer, and ovarian cancer. The newest drugs that are showing major control of advanced cancers are Yervoy, Keytruda, and Opdivo. This technique involves removing T-cells from the patient, and altering them genetically to help fight the cancer. They are multiplied biologically and returned to the patient to fight the cancer. This is still experimental. This technique is an alternative to cell therapy. These antibodies are proteins that can attach to cancer cells and T-cells, thus making the T-cells more effective against the cancer cells. One such drug, Blincyto, has been approved to treat a rare type of leukemia. Immunotherapy is not first line therapy for any cancer. Clinical trials are currently in most major cancer centers with trials on most cancers. Most patients treated have advanced disease, but in the near future, they will be used as adjuvant (additional) therapies with other classic treatments (radiation and chemo). There are certain patients that respond to treatment called responders, but 55-67% of patientsare non-responders. Determining which category a patient fits into is a key issue. For example, one third of those who are tested and found to be responders fornevolumab (Opdivo) to treat certain cancers are still alive 5 years later. A recent study has linked success with immunotherapy checkpoint inhibitors and certain gut bacteria. Gut microbes also are linked to chemotherapy response as well. When immunotherapy is used for advanced cancers, success is measured in months (in some years) of remission or response and lengthening life. Clinical trials will determine what can be achieved and in what cancers. Combining these immunotherapies are proving to be more successful than solo treatments, but the side effects are more serious, and a significant percentage of patients have to stop these medications. These treatments are continued for a lengthy period of time, and even though they frequently have to be stopped, there is significant benefit. One study reported that 66% of patients responded even though they discontinued their cancer treatment. In the future, advanced cancers may be treated with immunotherapy in addition to chemotherapy, but toxicity is still an issue. Judgment is critical when using these to further the life span of seriously ill cancer patients. The capability of immune cells to infiltrate a tumor has been found to be of better prognostic value than staging of cancers. Oncologists have used staging for years to determine 5 year survival rates. This is brand new information and must survive the test of time. With this information, a more advanced tumor may still respond as well as an early cancer. Some of these drugs are much more effective when certain genetic markers such as the PD-1 marker, is present. This is an everchanging field using markers and other criteria to determine which of these biologic agents can be most effective. Optivo and Yervoy are anti-PD agents. Patients can be tested for these markers to help direct treatment. This is a significant area of research trying to define the best immune biologic agent for specific cancers. This field is rapidly progressing. Stand by!! There are side effects (skin, liver, kidney, gastrointestinal, etc.) of these drugs, but usually don’t occur for a few weeks to 3 months. Fatigue is less than chemo, and there is no hair loss. Even though the stimulated immune cells direct their effort toward the cancer cells, they still influence normal cells. colitis, pneumonitis (can be very severe), liver enzyme elevations, and thyroid hormone abnormalities. Steroids can be used to combat some of these side effects. Once the treatments are stopped, these side effects will usually diminish over time. Financial burdens are a serious issue. As a combination, the treatment can cost $300,000 per year. This cost is impacted by most of these biologics being administered in hospitals (20-30% higher) rather than in oncologist’s offices. Medicare spending is therefore predicted to beover $2 Billion dollars more. This added cost is the result of most oncologists being employees of hospitals. Cancer is a big business!! Many of these drugs will lose their patent in 2020, which opens the door for production of what is called biosimilars, which will be much less expensive. Other countries already use these biosimilars, because they do not have governmentalrestrictions influenced through lobbyists from Big Pharma. President Trump must negotiate these prices with Big Pharma and get the lobbyists away from our Congressmen. Some of the categories of immunotherapy are listed below (generic name is first, and the brand name drug is in parenthesis). 1.PD-1/PD2 checkpoint inhibitors-a programmed cell death inhibitor—nivolumab(Opdivo) and pembolizumab(Keytruda). Opdivo is approved for Hodgkin’s lymphoma, kidney cancer, melanoma, lung cancer, and more recently head and neck cancers (oral and throat). The NEJM reported that the one year survival was doubled over other standard chemotherapeutic agents (36% vs 16%). They do so with better patient functioning and less side effects. These are not first line treatments, rather they are being used for advanced and recurrent disease. 3.Monoclonal antibodies—bevacizumab(Avastin), ramucirumab(Cyramza),cetuximab(Erbitux), are other options for treating a cancer. Avastin slows the growth of blood vessels stimulated by chemicals secreted by cancer cells that can starve a cancer it’s reducing the blood supply. What sets immunotherapy apart is, for those who respond to the treatments, the disease seems to be prevented from progressing or recurring for long periods of time. If this becomes true for more than melanoma, we are going to increase longevity for many with advanced cancers. Resistance by tumors to modern chemotherapy over time has been a challenge, and these immunotherapies seem to prevent resistance. Clinical trials are testing immunotherapies added to (adjuvant)radiation therapy and chemotherapy. Dr. Padmanee Sharma, Head of the Immunotherapy program at MD Anderson Cancer Center, feels that in ten years, immunotherapy will be the backbone of many cancer treatments. It is already happening!! A new study cited better results with pembrolizumab (Keytruda) than the standard platinum-based chemotherapy for non-small cell lung cancer. These patients were selected if they did not have certain biomarkers (EGFR and ALK gene markers) but had a high expression of a marker called programmed death ligand (PD-L1). The immunotherapy showed a 45% response as opposed to a 28% response from cisplatin. There were fewer side effects as well. Survival was increased to 10.7 months vs 6 months. We are getting closer. I will keep you up to date as breakthroughs occur. A recent study demonstrated that with palliative care, there was not only a better quality of life for chronically or terminally ill patients but had better outcomes. Caregivers had greater benefit as well. There was measurable improvement in social functioning and more vitality for caregivers if palliative care was initiated in the early phases of the illness. This study was tested on cancer patients, but it would be easily extrapolated for any caregiver with any chronically ill person. The enormous responsibility caregivers assume is better acceptedif sharedwith those providing palliative care. This positive energy rubs off on the patients as well creating a positive feedback loop on the whole family. The findings extended into a better bereavement process and adjustment by the caregiver and family when the patient passed away. There was measurably less depression in the caregivers at 3 months. This is in addition to hospice care. Why is palliative care so frequently delayed or not even considered? The primary reason is lack of knowledge how palliative care works. Perhaps the word itself is a misnomer, implying help when all else fails. Palliation has evolved as a specialty and its role has expanded. By definition palliative care is specialized medical care for the seriously ill focusing on relief of symptoms and stress of the illness with the goal of improving quality of life for the patient and the family. This is carried out by highly trained physicians, nurses, and social workers and other health care professionals who work together with the patient’s doctors. It should be noted, this care can be provided along with curative treatment. Ideally, this palliative care team includes the patient, caregiver, and family. Depending on the needs of each individual, this can include psychologists, massage therapists, chiropractic physicians, pharmacists, nutritionists, and the clergy. It is usually initiated in the hospital.Palliative care does not necessarily mean end of life care. 70% of hospitals now have palliative care programs but the demand for services is overwhelming and the number of doctors, nurses, and others going into the field is not staying up with demand. How does hospice care differ from palliative care? Although very similar, think of hospice care as a way of implementing the plan of palliative care. Hospice care is supportive in nature. It includes all aspects of implementing care from physical, psychological, to spiritual. Generally, a patient must be in the last 6 months of life to get insurance approval for hospice care, whereas, there are no time restrictions on palliative care. Hospice care is implemented by nurses and hospice trained professionals, not usually doctors. Palliative care can be aggressive in nature, whereas, hospice care is supportive in nature. Another factor to consider is overaggressive treatment in the last 30 days of patient’s lives. ASCO presented findings of 28,000 seriously ill cancer patients, and found that 2/3 of these patients were given cancer treatments in the last 30 days especially in those under 65 years of age (Medicare should really look at this). ASCO (American Society of Clinical Oncology) made recommendations in the 2012 “Choosing Wisely” program to not use cancer-directed therapies in patients with very advanced cancers and instead use palliative means to help their patients. The most common form of overaggressive care was hospital admission from emergency department visits, and chemotherapy was the most common form of treatment continued. 30-35% of these patients died unnecessarily in the hospital instead of at home or in a hospice facility. This drives the cost of healthcare up and must be addressed. Clearly, this is a very sensitive area, and in my experience, some doctors recommend treatments which do more harm than good when it is too late, unintentionally robbing these patients of a better quality of life as the end comes. It takes a lot of courage to tell patients and families that withholding care is the right thing to do and direct the patient to palliative care methods. Some doctors are not able to deal with the thought of withholding treatments, even when the chances of helping is quite unlikely. They just can’t “give up”, even when it is the right thing to do. Most families are not equipped to withdraw treatment, and considerations for this should come from the doctor. Patients are much more accepting of this than doctors think, but if a doctor recommends aggressive treatment, patients and families fall in line, not wanting to go against the doctor. This was reported in the June 6, 2016 Cure magazine. Hospice programs far outnumber palliative programs. The latter is usually more hospital based, although the programs easily extend beyond the hospital to hospice facilities and home healthcare. As pointed out above, to qualify for insurance to potentially cover hospice care, the patient must be considered terminally ill or within 6 months of death. Palliative care does not have that restriction, in that it is most often initiated in the hospital, extended care or nursing home. Rather than be specific about individual palliative care programs, in my experience, pain management can play an integral role, assisting the treating doctor. Most physicians are not specifically trained in pain management. Palliative specialists are generally expert pain management doctors. Other key issues that can be addressedinclude nausea and vomiting, trouble breathing or sleeping, loss of appetite, and constipation. The most common types of diseases that palliative care provides care for: cancer, heart disease, lung disease, kidney failure, dementia, HIV/AIDS, and neurodegenerative diseases (Alzheimer’s disease, ALS, etc. ).It is clearly a coordination of care and collaboration of many specially trained professionals to provide a holistic program of care. WebMD states that there are currently over 1400 hospital palliative care programs in the U.S. and there are 661 of those programs are registered in the National Palliative Care Registry. Hospitals apply for this to provide data for research, evaluation, and outcomes progress. These label changes do not take in to effect til 2018. Labels have been misleading for years. What is a portion or serving? The government plays footsie with the food industry while trying to help keep us healthy or at least informed. Regardless, reading labels is helpful just like knowing the price of an item. The FDA is in a tight situation, and I would hope revamping that agency would be one of Trump’s priorities. Below are the FDA’s latest labelling requirements which will go into effect in 2018. Although the name implies total failure, it is far from the truth. To report on heart failure is a daunting task, but I will try to explain it. To understand this, one must know what the heart does…it is a pump to send blood to the lungs for oxygenation and then to the organs of the body. The heart is a muscle, and when it becomes damaged, enlarged, inflamed, or does not get adequate blood supply from the coronary arteries, it cannot function well as a pump and begins to fail. As heart function begins to fail, to compensate, the heart muscle enlarges with dilation or thickening of the heart chambers. Compare the drawings below…note the size of the chambers of the heart and thickness of the heart muscle. c) The body diverts blood away from other organs to send more blood to the heart. When the blood can’t push the blood fast enough, the blood backs up into the lungs causing congestion, fluid in the lungs and lower extremities, and shortness of breath. Permanent damage is common including fibrosis (scarring) causing electrical rhythm abnormalities, enlargement of the chambers of the heart, and malfunction of heart function. This appears to come from the damaging effect of angiotensin II protein synthesis (one of the neuro-humoral mechanisms creating heart failure to be defined below). 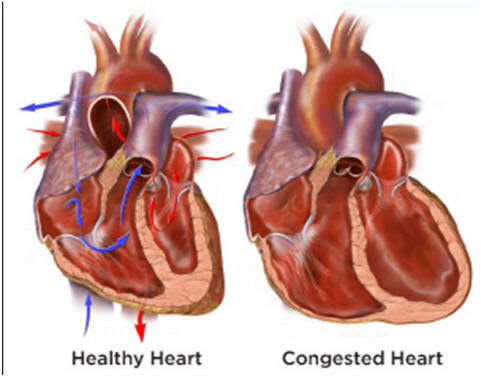 However, because there are cases when the congestion of the lungs and its vasculature do not occur, therefore, the accepted new name is simplyheart failure (without the word congestive). A) The heart and blood vessels are a complex system that is governed by nerves from the brain. The autonomic nervous system is in command of the heart and blood vessels in cooperation with certain hormone systems secreted by the adrenal and kidney. This system is responsible for regulating the body’s unconscious actions. B) The two major parts of the autonomic system is the sympathetic and parasympathetic system. The sympathetic systemis the “fight and flight” system. In stimulating the secretion of epinephrine and norepinephrine, this raises the heart rate and constricts blood vessels to raise the blood pressure. These two systems allow the body to respond to the external environment and recover from its responses. C) How does a heart begin to fail? 1--The renin/angiotensin/aldosterone system—Renin is an enzyme secreted by the kidneys in response to circulating sodium levels. It stimulates a blood peptide, angiotensin, that constrict blood vessels. Angiotensin II stimulates the adrenal gland to secrete aldosterone, which increases the reabsorption of sodium in the kidneys. Blocking this system reduces blood pressure and reduces circulating sodium levels. 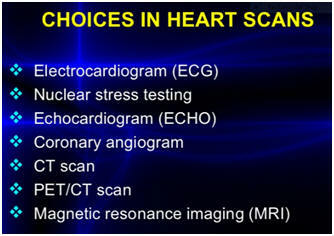 These effects have major impact on the heart as well. 2-- The sympatheticsystem (stimulates the secretion of epinephrine and norepinephrine) is another set of nerves in the body that stimulates the adrenal gland to secrete epinephrine and norepinephrine, which raises blood pressure and cortisol levels. The effect is to raise blood pressure and increase heart rate. This has major impact on heart function. 3-- The mineralocorticoid system (secretes cortisone and other hormones)—these hormones are secreted by the adrenal gland to step up metabolism and increase sodium levels and water reabsorption, which requires the heart to deal with higher plasma levels thus requiring good heart function. 4-- The natriuretic peptide system(these peptides are secreted by the muscle cells of the atria of the heart in response to high blood volume. It is responsible for lowering the blood pressure by reducing fluid in the body thus providing homeostasis between blood pressure levels and fluid levels in the body. These 4 systems work together to provide a stable cardiovascular system but one which can respond to stress of any kind.Medications to treat blood pressure and improve heart function must counter these systems. Without controlling the detrimental effects of these systems, heart failure can occur from diseases that influence the cardiovascular system. If these above systems cannot be controlled, the heart will fail to function leading to cardiovascular collapse. 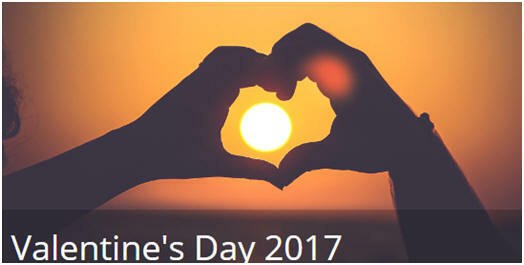 There are three main types—left-sided and right-sided heart failure, and congestive heart failure. 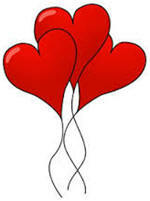 The left and right refers to the left and right chambers of the heart. The drawing below allows for review of the anatomy of the heart and blood vessels. 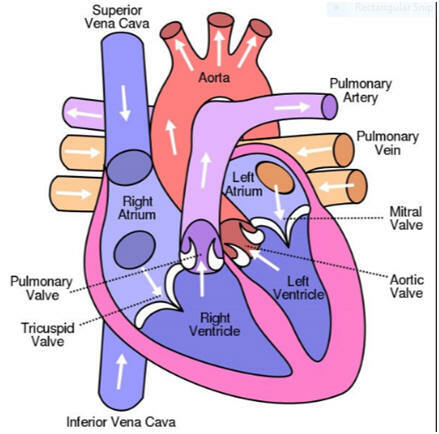 Blood returns to heart from major veins (superior and inferior vena cava) to the right atrium, through the tricuspid valves into the right ventricle. The blood then proceeds through the pulmonary valves into the lung via the pulmonary veins for oxygenation. The pulmonary artery then sends blood back to the left atrium through the mitral valve into the left ventricle and then out to the aorta via the aortic valve. 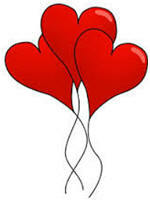 A-- Left sided heart failure occurs in two phases-when the heart contracts (systolic) and when it relaxes (diastolic). A newer classification uses the ejection fraction to delineate between systolic and diastolic heart failure. Definition of ejection fraction will come later in this report. B-- Right sided heart failure is usually the result of left sided heart failure because of the back pressure from the left side of the heart. Edema of the legs indicates some right sided heart failure. This probably indicates more advanced disease. C--Congestive heart failure is more advanced and implies fluid collection in the lungs and edema of the legs and even abdominal swelling. There are essentially two ways to classify patients regarding the extent of their heart failure. Doctors use this classification to select the appropriate treatment regimen. The NY Heart Association bases their classification on patient symptoms, and the American College of Cardiology/American Heart Association uses stages of heart failure based on objective test results. If a patient was asymptomatic and had no structural heart disease on an Echocardiogram, they would be Class 1A, as an example. 5.8 million Americans are living with heart failure of some degree, which results in 300,000 deaths each year. shortness of breath, chronic coughing or wheezing, swelling of the ankles, fatigue, loss of appetite, light headedness, confusion or difficulty thinking, and a high heart rate. These symptoms of course are common in other heart and stroke issues and they all must be differentiated. If several of these symptoms and signs are present, immediate medical attention is necessary. Most patients who develop heart failure have underlying diseases—coronary artery disease with or without a previous heart attack, heart valve abnormalities, atrial fibrillation, hypertension, cardiomyopathy (from underlying cause such as infection, alcohol, congenital, etc. ), severe lung disease, obesity, and obstructive sleepapnea. Even severe anemia or thyroid disease can contribute. It all starts with the patient reporting some of these symptoms to their doctor and being aware of the danger signs. C-- Urine analysis for protein (albumin), blood, infection. D--Chest X-ray is ordered to evaluate the lungs and heart for fluid, congestion, and enlargement of the heart. 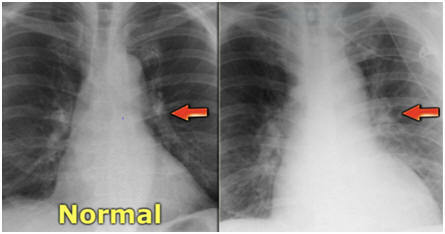 In the chest X-rays there is a comparison of a normal heart and lungs and one that is classic for heart failure. Congestion of the blood vessels (arrow in photo below right), and enlargement of the left side of the heart are classic signs. D-- EKG (electrocardiogram) can show rhythm abnormalities, ischemia, enlargement of the heart atria and ventricles, and evidence of a previous heart attack. 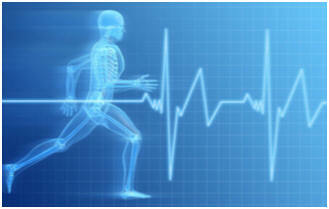 E--Echocardiogram is a critical test to evaluate the structure and motion of the heart muscle. This test is used to stage the patient in the above mentioned classification. F-- Exercise stress test will measure how well the heart works under the stress of exercise. It can measure how well the coronary arteries are filling with blood and whether the test brings on chest pain, an irregular heartbeat, etc. It can also help determine the level of activity a patient can tolerate. G--Heart scans use radionuclide tests (Ventriculography)-MUGA scan-- uses radioactive substances injected into the blood stream to measure the amount of blood flow from the coronaries to the heart muscle are occurring. H--Cardiac catheterization with coronary angiography is indicated to evaluate if partial or complete coronary blockage is present and may require immediate coronary stenting, angioplasty or coronary artery bypass surgery. It also can evaluate if there is diminished blood flow to an area of the heart muscle. 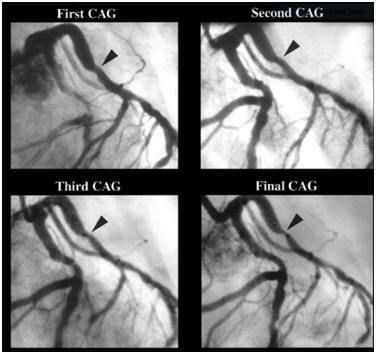 These photos show a narrowing of a coronary artery (arrow). It is critically important to know just how impaired the ventricles are in moving blood out of the heart each beat. 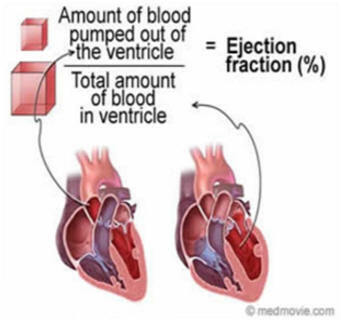 The ejection fraction is defined as the percentage of the blood in the ventricles that is ejected (pumped) out of the heart with each heartbeat and the amount left behind in the chambers. Several of the tests above can define the ejection fraction. This measurement is critical in determining the severity of heart failure and how aggressive the treatment needs to be. 55-70% ejection of blood out of the heart is considered the normal range. 50% ejection fraction means half of the blood in the heart is pumped (ejected) out of the heart with each contraction of the heart. This is the efficiency of the heart per beat. It impacts heart rate and fatigue of the heart which leads to heart failure. 40-55% ejection fraction indicates a low function and some impairment. 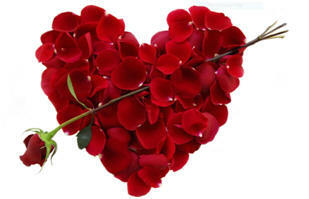 A fraction of 40% or less is suggestive of heart failure. Patients with heart failure can have normal or near normal ejection fractions, in fact, 30-50% fit this category,and the numbers are increasing because of the rise in obesity, hypertension, diabetes, and coronary disease in this country. These patients frequently have some type of structural heart muscle abnormality. Even though these patients have little if any reduced ejection fractions, they have the same adversity as those with reduced ejection fractions (hospitalizations, functional decline, and mortality). These patients are difficult to treat. 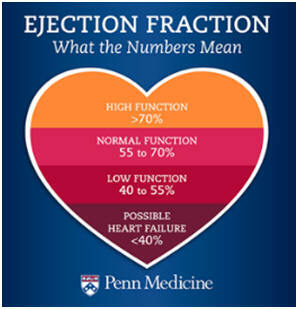 --- Most patients with an abnormal ejection fraction measure usually have 40-49% ejection fractions with heart failure. 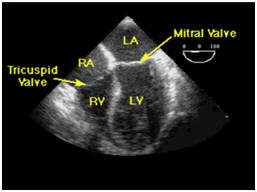 Below 40% or above 70% can indicate certain types of cardiomyopathy. I will address cardiomyopathy in another report. A--Lifestyle changes are necessary to begin the treatment including addressing all risk factors and underlying diseases present. B--Medications are the mainstay treatment for most patients and require a combination of drugs to reduce the risk of death and further heart muscle damage. 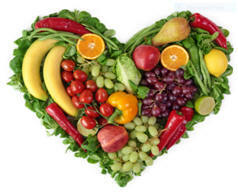 Medications to control blood pressure, atrial fibrillation (including ablation), lowering of elevated lipids, managing levels of potassium and sodium, and fluid buildup are critical to reduce the symptoms of heart failure. S treatment must be also individualized based on the a myriad of underlying factors. This requires the skill of an experienced cardiologist. D--Categories of medications(this is included for those who want more in-depth knowledge of the variety of medications used in heart failure). 1--Angiotensin converting enzyme inhibitors (ACE inhibitors). Some of the ACE inhibitors commonly prescribed are captopril (Capoten), enalopril (Vasotec), lisinopril (Prinivil), and fosinopril (Monopril). These meds block the action of angiotensin, the chemical responsible for stimulating epinephrine and norepinephrine that raises blood pressure. They, however, do not block angiotensin completely. Some of these medications include candesartan (Atecan), losartan (Cozaar), and valsartan (Diovan). These are another category of anti-hypertensives that are used to treat heart failure as well. They also block angiotensin II, which causes vasoconstriction. The only FDA approved medication is sacributril/valsartan (Entresto). This is pill combines aneprilysin inhibitor (sacributril) and an ARB (valsartan). Neprilysin is an enzyme that is responsible for the breakdown of certain vasoactive peptides in a system called natriuretic peptide system, which releases the peptides causing blood pressure elevation and heart damage. This drug recently has out-performed ACE-inhibitors and ARBs. It has doubled survival (from 15% to 30-35%). This drug has been used in Europe for years but only recently used in the U.S. You are seeing the ads on TV right now. The only one on the market is ivabradine (Corlanor)and has also been more effective than beta blockers in recent studies. This is another category of anti-hypertensives as well. Calcium channel blockers slow calcium molecules in and out of heart cells into the system making the heart muscle function more effectively. If a beta blocker is not working, Corlanor can be prescribed only if the heart rate is >70 and there is a normal sinus rhythm. This drug can drop the heart rate to a dangerous level if the rate is not over 70 to start with. It can potentially aggravate certain arrhythmias, therefore, the heart rate must not be irregular. The FDA is looking at some evidence that this drug could cause ventricular arrhythmias. That is why it is not recommended for patients with any kind of heart irregularity. Medications such as metoprolol (Lopressor) or atenolol (Tenormin) are typical beta blockers. They block receptors that stimulate the formation of epinephrine and norepinephrine, which lowers blood pressure by dilating blood vessels and makes the heart muscle more effective as a pump. It also reduces the heart rate. The beta blockers, the ACE inhibitors, or the ARBs were the mainstay of treatment until recent studies showed greater benefit with avabradine (Corlanor)and sacributril/valsartan (Entresto). It will take time for doctors to switch to these new medications. Spironolactone (Aldactone) is the most common medication in this category and is a potassium- sparing diuretic (water pill), which does not deplete potassium out of the kidneys like most other diuretics. Epieronone(Inspra) is also available. This is a special category of medication in that it blocks the hormone aldosterone (secreted by the adrenal gland) which has adverse effects on the heart and blood vessels. It can raise the potassium levels and, therefore, the potassium blood levels must be monitored. Spironolactone is superior to other diuretics. Furosemide (Lasix), clorothiazide (Diuril), metolazone (Zaroxoyln). These meds rid the body of unwanted fluid in the body. Spironolactone (Aldactone) appears to be more effective. Anticoagulation may be required if atrial fibrillation is present, statins and other lipid lowering drugs, management of type 2 diabetes, weight loss medications, and digoxin (no longer as effective as above combinations). 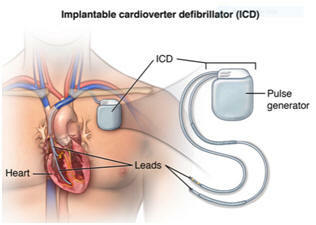 Implantable pacemakers and defibrillators are necessary if the heart rhythm can’t be controlled and there is a risk of ventricular fibrillation which will cause death in a few minutes. The heart must be paced to keep a normal range of heart rate. With heart disease, the threat of serious arrhythmias is present, and if that exists, an implant can be placed on the chest wall that will monitor the heart rhythm and stimulate regular heart beats. If ventricular fibrillation occurs, seconds count to shock the heart (with a defibrillator) to a standstill, and then the pacemaker will stimulate the heart to start beating again. This shock is the same as seen in defibrillators which are used on the chest wall to stop the heart, and then hope the heart will return. Below is an X-ray and drawing demonstrating the defibrillator implant, which is surgically implanted under the skin of the left chestwall. 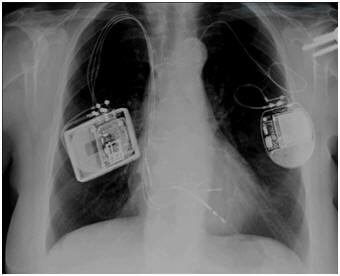 A pacemaker connects lead wires into the atrium and ventricles. These instruments allow the heart to have an automatic predetermined heart rate and shock the heart if it stops. E-- What combination of medications provides the greatest benefit? BRAND NEW INFORMATION! A few decades ago, heart failure was treated with digitalis and diuretics. They were effective but still could not stop progression and mortality in a large percentage of patients. In later decades, the anti-hypertensives were used because not only could they lower blood pressure but can improve heart muscle function and make it pump more efficiently. ACE inhibitors (i.e. Prinivil or Vasotec) in combination with ARBs or beta blockers plus a strong diuretic improved many more patients than previous treatment. With the latest scientific information there are newer drugs that can diminish mortality even more effectively. Avabradine (Corlanor) and sacributril/valsartan (Entresto) and Aldactone have shown greater benefit.Studies from Europe have reported that there is reduced mortality from heart failure by as much as 50% over the other medications. There is a 20% reduction in hospitalizations, and a 16% reduction in all-cause mortality. Note that this very new information. These newer medications have been used in Europe for several years but only recently FDA approvedEntestoin the U.S. If the patient’s symptoms and heart failure are well controlled, there would be little reason to switch from the classic medications (beta blockers, ACE inhibitors, ARBs plus Aldactone). If they are not working, consideration for Entresto might be considered. It will be some time before American cardiologists become comfortable with this new medication. Drugs need to stand the test of time. F-- Heart Transplantation will be discussed in another report. This is an option. Heart failure is a lethal disease and must be aggressively managed. This completes the February report. 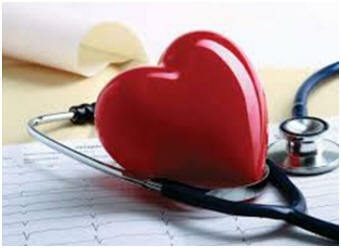 Get your heart checked, measure your blood pressure at home, know your risk factors for heart disease. Remember, good health is merely the slowest rate at which we can die! Ha!